The above image is from Paulus Hector Mair's sixteenth-century encyclopedia of German martial arts. (A number of such Fechtbücher were produced during the late middle ages and early Renaissance). 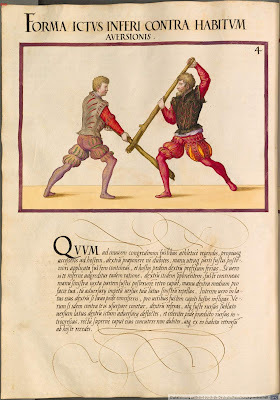 As well as including instructions for knightly techniques, Mair's encyclopedia discusses peasant weapons such as scythes, sickles and cudgels (pictured above). 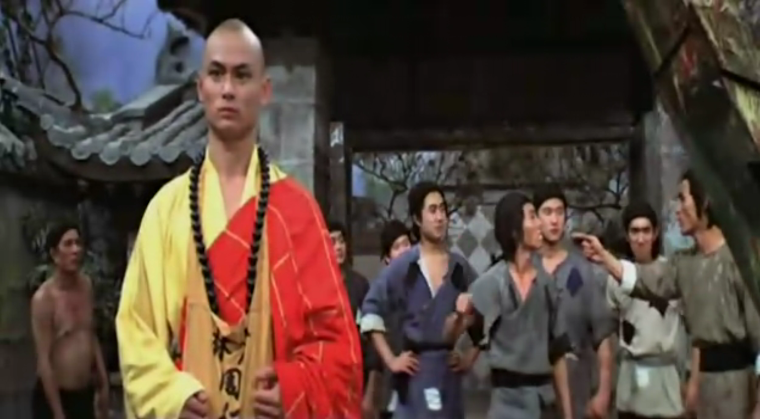 In the Chinese martial arts, there are also, of course, a number of weapons that derive not from military use, but from peasant tools: scythes, spades, staffs, knives, hoes, rakes, and, of course, rice flails – the iconic nunchaku of Bruce Lee derives from the Okinawan version of this last tool, and as M.T. Kato points out in From Kung Fu to Hip Hop: Globalisation, Revolution and Popular Culture (New York: SUNY Press, 2007), the development of the nunchaku as a weapon harks back to the ban on the native population carrying bladed weapons under Japan's occupation of Okinawa during the seventeenth century (pp.42-3). Monkey: What is that thing? Pigsy: This? It was made for me by Lao Tzu.